You just finished mediating a divorce, parenting time, or child support dispute and reached an agreement. Now what? Can it be enforced? Yes and no. Technically, only signed court orders can be enforced. Remember this. A mediated agreement signed by both parties and perhaps the mediator is unenforceable in and of itself – plain and simple. Once the mediated agreement is presented to the court who approves it and adopts it as a court order and signs the order, the terms of the mediated agreement become enforceable through the court order. But wait. What good is a mediated agreement if it can’t be enforced? First, let’s consider an unsigned mediated agreement. Since anything discussed in mediations is confidential, the fact that the parties “agreed” on anything at mediation is inadmissible (not allowed) at trial. So if one party reneges on the agreement, there is little the other party can do about it. Now, let’s consider the signed mediated agreement. Here, it’s different, because if one party reneges on the agreement or changes their mind, the signed agreement can still be presented to the court as evidence that the parties did have an agreement as to the terms in the agreement. 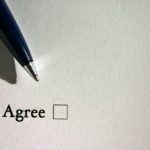 Now in civil cases, particularly where businesses are involved, it may prove difficult to get out of the agreement if there was no fraud or misunderstanding. However, domestic cases present more issues. Domestic courts are bound to make certain findings regarding domestic issues irrespective of what the parties may have originally agreed to. For instance, where parental responsibilities are involved, the court must make orders based upon the best interests of the child(ren). Thus, one way to “get out” of the agreement is for one party to argue that it is not in the best interests of the child(ren), and that the party mistakenly thought it was at the time. Of course, the party may lose a little credibility along the way, and the court may still find the agreement to be in the best interests of the chil(ren), though it may not as well. Likewise, child support orders generally must be based on statutory guidelines or on specific factors for deviating from those guidelines irrespective of the mediated agreement. Also, mediated divisions of property must still be found to be fair and equitable. Additionally, some judges may be more likely than others to approve or disapprove the agreement – And the facts, law and presentation of of the case may greatly sway this decision. Still, mediated agreements will not be enforced by any law enforcement officers – only court orders will be enforced.